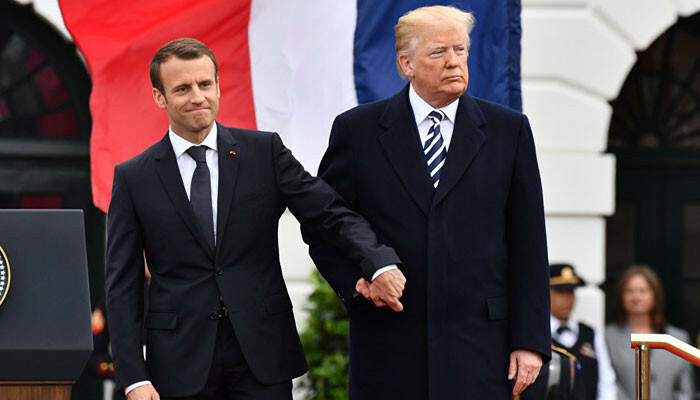 French President Emmanuel Macron and his US counterpart Donald Trump have discussed in phone talks the future of the Intermediate-Range Nuclear Forces Treaty (INF) after Washington announced its withdrawal, the press service of the Elysee Palace said on Monday. "The President of the Republic and President Trump have also addressed the issue of the future of the INF. [Macron] has stressed the importance of this treaty, in particular, for the European security and strategic stability," the press service said.